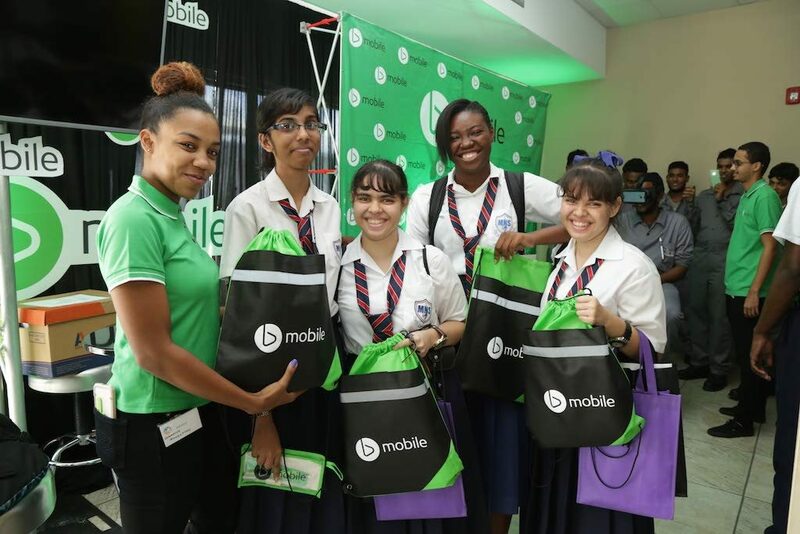 bmobile and other local businesses played host to hundreds of secondary school students from south Trinidad, as the students got the opportunity to explore a wide range of careers and tertiary education options during the Spark Education Career Fair at the National Energy Skills Centre (NESC), Ste Madeleine campus recently. At the spacious NESC auditorium, excited students visited multiple booths led by their respective Human Resource teams. They were also given sound advice on various tertiary level programmes that would assist in their journey towards securing the right job. 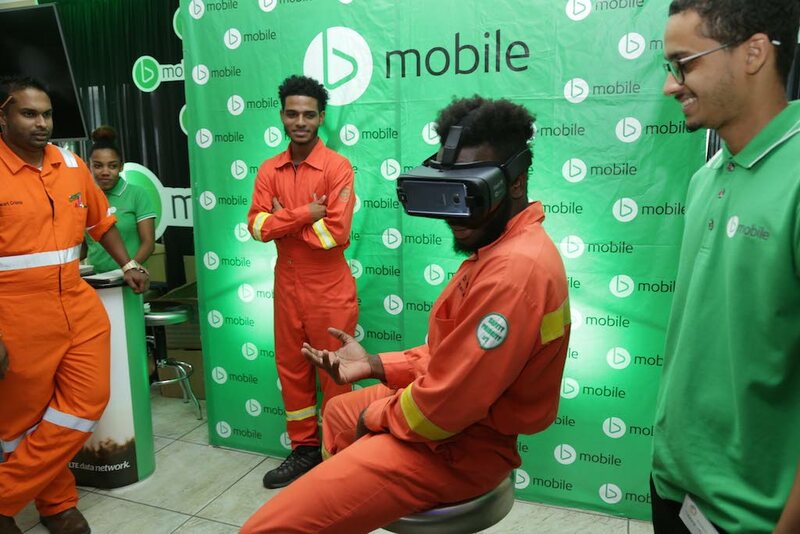 At the bmobile booth, youngsters were pleasantly surprised at the range of professions involved in running a multi-billion-dollar telecom leader, and animatedly conversed with representatives on possible career options. As an added bonus, participants were given the opportunity to see how virtual reality technology was being used for education and entertainment. Utilising the impressive Samsung Virtual Reality (Oculus), students took an immersive journey through several three-dimensional simulations and were awestruck. NESC student Rogrick Stafford took part in one of the simulations and was blown away by the real-life gaming experience. “It’s the first time that I’ve tried VR and it’s amazing. It’s like you’ve actually become the character in the game. I’ve never seen or experienced anything like this before,” he said. Other booths at the Career Fair were also abuzz with activity. At the TT Civil Aviation Authority booth, fascinated students tested their flying skills via a special flight simulator, while the tertiary associations were flooded with teenagers exploring advanced academic pathways. Other exhibitors included Petrotrin, Republic Bank, SporTT, UWI, COSTAATT, UTT, Arthur Lok Jack Graduate School of Business, MIC Institute of Technology, ACCA, JobsTT and NESC. Co-founder of Spark Education, Safia Bulhan, expressed pleasure with the high turnout of young people seeking opportunities. She urged pupils to capitalise on the information being shared and use it as a head start towards career growth. Bulhan was also highly intent on hosting this event annually with the sole intention of bridging the gap between educator, employer and employee. 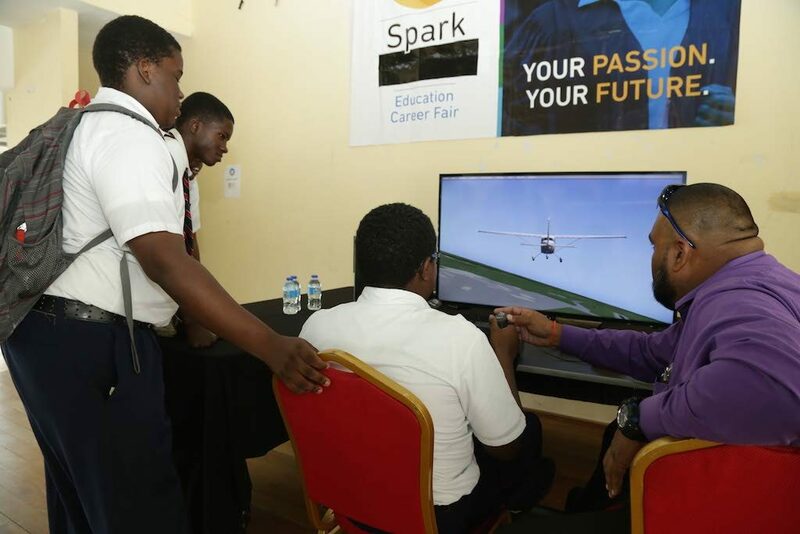 Day-one of the Career Fair was held at the Civil Aviation Authority Training Centre in Piarco, on October 31. Reply to "bmobile joins businesses to light a Spark at Career Fair"